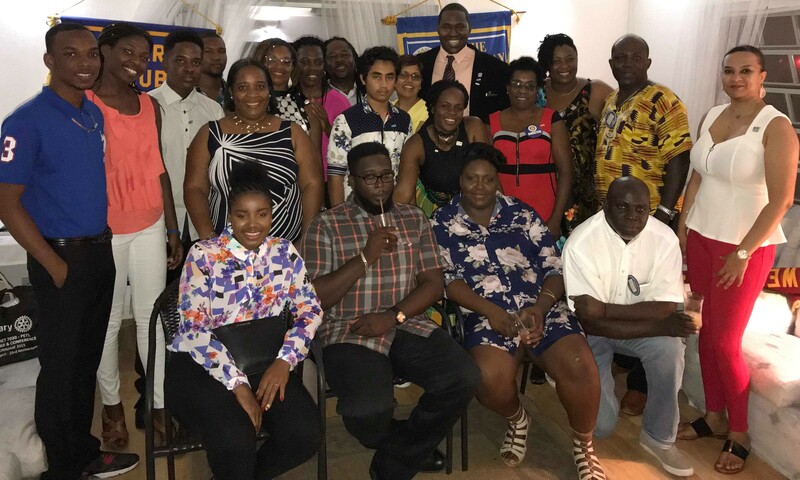 Deonne Semple has been elected as president of the Montserrat chapter of the Rotary Club for 2018/19. Jermaine Wade is President Elect (for 2019/20). The handover ceremony was done on Tuesday, July 11 at the Olveston House, where weekly meetings are held. Yannick Henry as president for Interact for 2018/19. He also led the group for 2017/18. Adolphia Martin is President of Rotaract for 2018/19. She also held this post in the previous year. The new Assistant Governor is from Antigua. Dr Braimah Kassim was the previous AG for Montserrat, but the organisation is reverting to the previous strategy of the AG covering more than one island in the region. Jenzil Skerritt is Secretary for Rotary 2018/19. Debbie Battersby, the Immediate Past President also serves as Treasurer.